Robt. D. Owens household, 1910 U.S. Census, Henderson County, Robt. D. Owens, population schedule, 6th Magistrate District, ED 0079, sheet 12A, dwelling 238, family 238, age 47, occupation Farmer. Washington State Birth Index, 1907-1919 (published), Aileen P Darby's birth record. SSI Death Index, online search.ancestry.com, 531-22-5911. Wisconsin Births and Christenings, 1826-1926 viewed on FamilySearch, online www.familysearch.org, FamilySearch (https://familysearch.org/ark:/61903/1:1:XRJN-TQQ : 11 February 2018), Allice Mccamish in entry for Ketner, 12 May 1889; citing Beetown Twp., Grant, Wisconsin, reference item 4 p 189; FHL microfilm 1,302,873. Sam Ketner household, 1905 State Census, Beetown,Grant County,Wisconsin, population schedule, Page No: 20 , Line No: 64, , FamilySearch FHL No: 1020449 age 40, occupation Farmer. Illinois, County Marriages, 1810-1940 database at Familysearch, online familysearch.org, FamilySearch (https://familysearch.org/ark:/61903/1:1:KFLK-H22 : 15 October 2017), Leon M. Bennett and Lottie M. Ketner, 31 Mar 1909; citing Rock Island, Illinois, United States, county offices, Illinois; FHL microfilm 1,428,582. Leon Bennett household, 1910 U.S. Census, Rock Island County, Illinois, population schedule, Moline, ED 109, sheet 12B, dwelling 231, family 249, age 26, occupation Motorman - Street Railway. Michigan Return of Births, Kent County. Images online at Family Search, Record search an official Web site of The Church of Jesus Christ of Latter-day Saints, online http://search.labs.familysearch.com/recordsearch/…, Film Number: 232689; Digital Folder Number: 4209412; Image Number: 554; Reference Number: v 3 p 100 rn 6635. Image Number: 554; Reference Number: v 3 p 100 rn 6635. Hiendrik TenBraak household, 1900 U.S. Census, Kent County, Michigan, population schedule, Paris, ED 0099, sheet 1 A, dwelling 3, family 3, age 54, occupation Gardener. Michigan Return of Births, Kent County. Images online at Family Search, Record search an official Web site of The Church of Jesus Christ of Latter-day Saints, online http://search.labs.familysearch.com/recordsearch/…, Film Number: 2342678; Digital Folder NUmber: 4208658; Reference Number: v 3 p 206 rn 1399. Debbie Gowen Research, "Debbie (Pratt) Gowen - Emails," e-mail to David C. Pratt, Email 8 Nov 2011 - Photo copy of certificate of death. Herman Tenbrock household, 1910 U.S. Census, Kent County, Michigan, population schedule, Paris, ED 0133, sheet 7B, dwelling 102, family 108, age 24, occupation Farm Laborer - Small Farm. August Albrecht household, 1900 U.S. Census, Muscatine County, Iowa, population schedule, Sweetland, ED 112, sheet 244a, dwelling 209, family 213, age showen as 35, occupation ? August Albright household, 1910 U.S. Census, Cook County, Illinois, population schedule, Chicago, ED ED, sheet Pg, dwelling 233, family 354, age 45, occupation Car Inspector Rail Road. Illinois, Cook County Marriages, 1871-1920, At FamilySearch.org, online https://familysearch.org, Photo Copy of Marriage Certificate online - FamilySearch Reference: Film Number: 1030710; Digital Film Number: 4272657; Image Number: 943; Reference Number: 844120. Fred Bollhoffer household, 1920 U. S. Census, Cook County, Illinois, population schedule, Chicago, sheet 1867, dwelling 263A, family 241, 97. Fred A. Bollhoffer household, 1930 U.S. Census, Cook County, Illinois, population schedule, Chicago, ED 735, sheet 25A, dwelling 225, family 450, age 34 occupation Butcher. Fred Bollhoffer household, 1940 U.S. Census, Cook County, Fred Bollhoffer, population schedule, Justice, ED 16-274, sheet 6A, Street or Post Office 79th, number of household visited 106, National Archives micropublication T627-940, Married, 47 year old Proprieter of a Retail Grocery Store. SSI Death Index, online search.ancestry.com, 351-28-5292. Debbie Gowen Research, "Debbie (Pratt) Gowen - Emails," e-mail to David C. Pratt, email 10/11/2011 - Photo copy of Obituary for Augusta M. Albrecht. Edwin L. Walker household, 1900 U.S. Census, Orange County, Edwin L. Walker, population schedule, Gordon, ED 0070, sheet 18B, dwelling 317, family 336, age 49, occupation Farmer. U.S. Social Security Applications and Claims Index, 1936-2007 viewed online at ancestry.com, online search.ancestry.com, Name: Kate Roxie Maupin; Father: Edwin L. Walker; Mother Henrietto S. Rodgers. Notes: May 1961: Name listed as Kate Roxie Maupin. Stuart A. Maupin household, 1930 U.S. Census, Culpeper County, Stuart A. Maupin, population schedule, Stevensburg, ED 0009, sheet 10B, dwelling 192, family 194, age 40, occupation Farming. Eddie L. Walker household, 1920 U. S. Census, Culpeper County, Vriginia, population schedule, Stevensburg, sheet 25, dwelling 5B, family 100, 101. Ashby Maupin household, 1940 U.S. Census, Culpeper County, Ashby Maupin, population schedule, Stevensburg, ED 24-8, sheet 5B, Street or Post Office Road No. 119, house number Farm, number of household visited 85, National Archives micropublication T627-4256, Ashby was listed as a married 50 year old Farmer. Public Member Tree, online search.ancestry.com, joannestriebich. Find A Grave - Memorial Page, online www.findagrave.com, Raymond A. Charlebois - Find A Grave Memorial# 27965868. Michigan Marriages, 1868-1925 - as view on FamilySearch.Org, online https://familysearch.org/, FamilySearch (https://familysearch.org/ark:/61903/1:1:N3VR-7WJ : accessed 22 January 2016), Manley Batterson and Pearl Canright, 27 Apr 1909; citing Batavia Twp, Branch, Michigan, v 1 p 9 rn 5768, Department of Vital Records, Lansing; FHL microfilm 2,342,684. Benjamin Canright household, 1900 U.S. Census, Branch County, Benjamin Canright, population schedule, Coldwater, ED 001111A, sheet 218, dwelling 221, family age 36, occupation Farmer. Portsmouth Hearld, 28 Jun 2007. Public Member Tree, online search.ancestry.com, Regan Balckmore Marsh - marshplace. Nova Scotia, Canada, Births, 1836-1910 [database on-line]. Provo, UT, USA: Ancestry.com Operations, Inc., 2010, online search.ancestry.com, Hannah West Walker; Book: 1904, Page: 70504507. Andrew Hill household, 1930 U.S. Census, York County, Andrew Hill, population schedule, Buxton, ED 0017, sheet 14B, dwelling 366, family 375, age 38, occupation Carpenter - House. 1901 British Census Index., online search.ancestry.com, Class: RG13; Piece: 1314; Folio: 156; Page: 5. Seattle Passenger and Crew Lists, 1882-1957 [database on-line]. Provo, UT, USA: The Generations Network, Inc., 2006. Original data:, online www.ancestry.com, Line: 7; Microfilm Roll Number: M1383_42. England & Wales, Marriage Index: 1916-2005 at ancestry.com, online search.ancestry.com. Ancestry.com. UK Incoming Passenger Lists, 1878-1960 [database on-line]. Provo, UT, USA: The Generations Network, Inc., 2008. Original data: Board of Trade: Commercial and Statistical Department and successors: Inwards Passenger Lists. Kew, Surrey, England: The National Archives of the UK (TNA). Series BT26, 1,472 pieces., online www.ancestry.com, Class: BT26; Piece: 1106; Item: 8. Ancestry.com, Dorset, England, Deaths and Burials, 1813-2001 [database on-line]. Provo, UT, USA: Ancestry.com Operations, Inc., 2011. Original data: Dorset Parish Registers. Dorchester, England: Dorset History Centre., online search.ancestry.com. Ancestyr.com - England & Wales,Death Index: 1916-2005, online search.ancestry.com. Ancestry.com World Tree Projects, online www.ancestry.com, Smith Tree - Contact: Mark Smith. William D. Werner household, 1900 U.S. Census, Kent County, Michigan, population schedule, Grand Rapids, ED ED, sheet Pg, dwelling 109, family 130, age 36, occupation Jewelery Store. William D. Werner household, 1910 U.S. Census, Kent County, Michigan, population schedule, Grand Rapids, ED 0097, sheet 3B, dwelling 51, family 54, age 46, occupation Jewler - Jewelery Store. William Werner household, 1920 U. S. Census, Kent County, Michigan, population schedule, Grand Rapids, sheet 32, dwelling 18B, family 323, 406. Michigan, Marriage Records, 1867-1952 [database on-line]. Provo, UT, USA: Ancestry.com Operations, Inc., 2015. Online at Ancestry.com, online search.ancestery.com, Earl W. Werner and Mayme Nellis: Record Number: 13052; Film: 157; Film Description: 1921 Iosco - 1921 Menominee. , Marriage Place: Earl W. Werner and Mayme Nellis: Record Number: 13052; Film: 157; Film Description: 1921 Iosco - 1921 Menominee. Earl Werner household, 1930 U.S. Census, Muskegon County, Earl Werner, population schedule, Muskegon Heighs, ED 0038, sheet 17B, dwelling 354, age 39, occupation Draftsman - Boiler Works. Earl W. Werner household, 1940 U.S. Census, Kent County, Earl W. Werner, population schedule, Muskegon Heights, ED 61-59, sheet 1B, Street or Post Office Sanford Street, house number 1619, number of household visited 20, National Archives micropublication T627-1898, Earl was listed as a married 50 year old Draftsman. SSI Death Index, online search.ancestry.com, SSN: 367-10-4730. Alexandra Utgoff Taylor, "Utgoff Family Information," e-mail to David C. Pratt, 25 Mar 2012. Victor V. Utgoff household, 1920 U. S. Census, Washington County, District of Columbia, population schedule, Washington, sheet 294, dwelling 7B, 181. Massachusetts, Death Index, 1901-1980 [database on-line]. Provo, UT, USA: Ancestry.com Operations, Inc., 2013. online at Ancestry.com, online search.ancestry.com, Victor Vicovich Utgoff; Death Place: Revere, Massachusetts; Volume Number: 80; Page Number: 276; Index Volume Number: 87; Reference Number: F63.M363 v.87. Nicholas Petroff household, 1925 State Census, Nassau County, New York, population schedule, Hempstead, Election District: 15,Assembly District 01, line number: 25, Nicholas is listed as head of house. 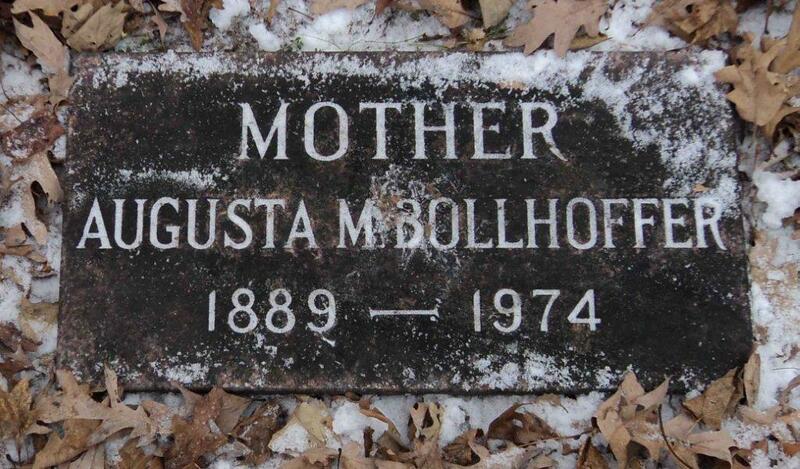 Find A Grave - Memorial Page, online www.findagrave.com, Victor Victorovich Utgoff - Find A Grave Memorial# 49330548. Victor V. Utgoff household, 1930 U.S. Census, Essex County, Victor V. Utgoff, population schedule, Gloucester, ED 49, sheet 22A, age 40, occupation C.B.M. (a), US Coast Guard. U.S. National Cemetery Interment Control Forms, 1928-1962 [database on-line]. Provo, UT, USA: Ancestry.com Operations, Inc., 2012. Online at Ancestry.com, online search.ancertry.com, Victor Utgoff - Chief Boatswain's Mate, Acting. Reuben E. Steele household, 1900 U.S. Census, Hawkins County, Tennessee, population schedule, Rogersville, ED 0085, sheet 14B, dwelling 258, family 258, age 42, occupation Farmer. Charles R. Steele household, 1920 U.S. Census, Hawkins County, Charles R. Steele, population schedule, Rogersville, ED 117, sheet 9B, dwelling 189, family 205, age 31, occupation Truck Driver - Standard Oil. Eb Steele household, 1910 U.S. Census, Hawkins County, Tennessee, population schedule, Rogersville, ED 0114, sheet 9A, dwelling 169, family 172, age 54, occupation Farmer - General Farm. Tennessee, Marriages, 1796-1950 At Family Search, online familysearch.org, FamilySearch (https://familysearch.org/ark:/61903/1:1:X8YH-945 : 8 December 2014), Charley Steele and Hattie Carmack, 19 Jun 1910; citing Hawkins, Tennessee, reference 155; FHL microfilm 972,792. Charles C Perkins household, 1930 U.S. Census, Wyandotte County, Charles C Perkins, population schedule, Kansas City, ED 30, sheet 11A, dwelling 89, family 137, age 40, occupation Salesman - Retail Furniture. 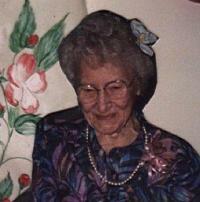 Find A Grave, database and immages, online www.findagrave.com, Edna L. Perkins, Find A Grave Memorial no: 97456050. Charles H. Perkins household, 1920 U.S. Census, Jackson County, Charles H. Perkins, population schedule, Sni-A-Bar, ED 279, sheet 1B, dwelling 25, family 29, age 30, occupation Farmer - General Farm. Kansas State Census Collection, 1855-1925 [database on-line]. Provo, UT, USA: Ancestry.com Operations Inc, 2009. 1925 Kansas State Census. Microfilm reels K-1 – K-177. Kansas State Historical Society., online www.ancestry.com, Kansas State Historical Society; Topeka, Kansas; 1925 Kansas Territory Census; Roll: KS1925_174; Line: 18. Charles Perkins household, 1940 U.S. Census, Wyandotte County, Charles Perkins, population schedule, Kansas City, ED 106-2, sheet 11B, Street or Post Office Orville Ave., house number 441, number of household visited 202, National Archives micropublication T627-1268, age 49, occupation Salesman - Motor Co.
BillionGraves Index, database, online at familysearch.org, FamilySearch (https://familysearch.org/ark:/61903/1:1:VTW7-9SQ : 24 June 2015), EDNA L. PERKINS, died 13 Dec 1964; citing BillionGraves (http://www.billiongraves.com : 2012), Burial at Chapel Hill Memorial Gardens Cemetery, Kansas City, Wyandotte, Kansas, United States. Find A Grave, database and immages, online www.findagrave.com, Mary Lou "Dixie" Perkins Miller, Find A Grave Memorial no: 147405303.
International Genealogical Index (IGI), Batch: 0960141. England & Wales, FreeBMD Marriage Index: 1837-1983 [database on-line]. Provo, UT, USA: The Generations Network, Inc., 2006. Original data: General Register Office. England and Wales Civil Registration Indexes. London, England: General Register Office., online www.ancestry.com, Year of Registration: 1889; Quarter of Registration: Oct-Nov-Dec; District: Kingston; County: Middlesex, Surrey; Volume: 2a; Page: 321. 1891 British Census: Ancestry.com. Provo, UT: Ancestry.com, 2002-. Indexed by Ancestry.com from microfilmed schedules of the England 1891 Census. Images reproduced by courtesy of the Public Record Office, London, England., online search.ancestry.com, RG12/776; RD: Hailsham; SR: Hailsham; ED: 7; Folio: 111; Page: 14; GSU: 6095886. Annette isabelle Wilson Household, Framingham Pigot, Norfolk, 1911 Census of England and Wales , Registration Distric Number227 , ED. Institution or vessel 5 , Piece: 11364 , Comments: age: 70, occupation: Private Means & Pention From Inolia Office. England & Wales, Birth Index: 1916-2005 [database on-line]. viewed at ancestry.com, online search.ancestry.com, Marylebone; 1a, 614. Richard Reynolds household, 1900 U.S. Census, El Dorado, California, population schedule, Placerville, ED 28, sheet 171A, dwelling 512, family 510, occupation farm labor. Josie West household, 1910 U.S. Census, San Francisco County, Josie West, population schedule, San Francisco, ED 298, sheet 4B, dwelling 31, family 31, age 34, occupation Hotel Keeper. Addie Reynolds household, 1920 U. S. Census, Elko County, Nevada, population schedule, Elko, sheet 8, dwelling 10B, family 231, 234. Irena Goldman household, 1930 U. S. Census, Elko County, Irena Goldman, population schedule, Elko, ED 45, sheet 5A, dwelling Dw, family Fm, age 31, occupation Hotel Manager. Addie Reynolds household, 1940 U.S. Census, Humboldt County, Addie Reynolds, population schedule, Union (Winnemucca), ED 7-9, sheet 67B, Street or Post Office Bell Addition, house number 67B, number of household visited 579, National Archives micropublication T627-2278, Age 50,. Letter, Marie Vincent to Cynthia R Pratt, 19 Oct 1976. Joseph Lavador household, 1910 U.S. Census, Umatilla County, Oregon, population schedule, North Reservation, ED 26, sheet 169A, dwelling 174, family 181, age 52. Leanard Lavadour household, 1920 U. S. Census, Umatilla County, Oregon, population schedule, North Indian Reservation, ED 152, sheet 8A, dwelling 116, family 135, age 34. Oregon Death Index, online http://search.ancestry.com/, Certificate: 74-20045. Charles Unchemann household, 1900 U.S. Census, King County, Washington, population schedule, Duwamish, ED 0070, sheet 16B, dwelling 310, family 320, age 39, occupation Com Laborer. Chas H. Unzelman household, 1910 U.S. Census, Snohomish County, Washington, population schedule, Snohomish, ED 0309, sheet 3A, dwelling 63, family 63, age 43, Occupation Farmer - General Farm. Charles Unzelman household, 1920 U. S. Census, Lewis County, Charles Unzelman, population schedule, Emery, ED l139, sheet 10A, dwelling 136, family 139, age 57, occupation Farmer - General Farm. Charles Unzelman household, 1930 U.S. Census, Lewis County, Charles Unzelman, population schedule, Emery, ED 0042, sheet 9B, dwelling 226, family 227, age 68, occupation Farmer. California, County Marriages - viewed at FamiySearch, online www.familysearch.org, index and images, FamilySearch (https://familysearch.org/pal:/MM9.1.1/K8XG-NW9 : accessed 04 Oct 2013), William Gaston Jones and Sigrid Fagerholm, 1915. Chas Fagerholm household, 1900 U.S. Census, Mendocino County, California, population schedule, Fort Bragg, ED 0078, sheet unknown cd4, dwelling 239, family 246, Age 43, Day Laborer. CA Death Index, online search.ancestry.com, Sigrid Spath. Chas Fagerholm household, 1900 U.S. Census, Mendocino County, California, population schedule, Fort Bragg, ED 0078, sheet 13B, dwelling 339, family 256, age 43, occuptaion day laborer. Wm. G. Jones household, 1920 U. S. Census, Mendocino County, Wm. G. Jones, population schedule, Fort Bragg, ED 122, sheet 17A, dwelling 61, family 66, age 65, occupation Proprieor - Laundry. Harry Spath household, 1930 U. S. Census, Mendocino County, Harry Spath, population schedule, Fort Bragg, ED 30, sheet 8A, dwelling 60, family 60, age 26, Planerman - Saw Mill. Harry Spath household, 1930 U. S. Census, Mendocino County, Harry Spath, population schedule, Fort Bragg, ED 0030, sheet 8A, dwelling 60, family 60, age 26 occupation Plannerman - Saw Mill. Harry Spath household, 1940 U.S. Census, Mendocino County, Harry Spath, population schedule, Fort Bragg, ED 23-21, sheet 13A, Street or Post Office Whipple, house number 144, National Archives micropublication T627-263, Married 36 year old Proprietor of Steam Laundry. Public Member Tree, online search.ancestry.com, Genealogy of Carl & Elaine (Gerove) Rhodes. SSI Death Index, online search.ancestry.com, Number: 264-41-5480;Issue State: Florida;Issue Date: 1973. .S. World War II Draft Registration Cards, 1942 [database on-line]. Provo, UT, USA: The Generations Network, Inc., 2007. Original data: United States, Selective Service System. Selective Service Registration Cards, World War II: Fourth Registration. National Archives and Records Administration Branch locations: National Archives and Records Administration Region Branches., online http://www.ancestry.com, Roll: WWII_2372568; Local board: Lucas , Ohio. Ancestry.com OneWorldTree Entry, online http://search.ancestry.com, Personal Information for Grant Cramer. Grant W. Craner household, 1920 U.S. Census, Lucas County, Grant W. Craner, population schedule, Toledo, ED 108, sheet 15B, dwelling 306, family 365, age 30, occupation Draftsman Engeneering Co.
Grant Cramer household, 1930 U.S. Census, Lucas County, Grant Cramer, population schedule, Toledo, ED 103, sheet 1B, dwelling 3, family 27, age 40, occupation engeneer ? - hardware. Grant W. Cramer household, 1940 U.S. Census, Lucas County, Grant W. Cramer, population schedule, Leesdale-ForestView, ED 48-32, sheet 18B, Street or Post Office Cheltenam, house number 2650, number of household visited 408, National Archives micropublication T627-3106, a married 50 year old Automobile Chemical Engineer. Ohio Department of Health. Ohio Deaths, 1908-1932, 1938-1944, and 1958-2002 [database on-line]. Provo, UT, USA: The Generations Network, Inc., 2006., online www.ancestry.com. James Arrunet household, 1910 U.S. Census, Kent County, Michigan, population schedule, Walker Township, ED 111, sheet 309A, dwelling 128, family 128, occupation farmer. Michigan Marriages, 1868-1925 - as view on FamilySearch.Org, online https://familysearch.org/, FamilySearch (https://familysearch.org/pal:/MM9.1.1/NQ75-XBM : accessed 22 May 2014), John L Pratt and Etta Guyott, 08 May 1886; citing Grand Rapids, Kent, Michigan, v 2 p 138 rn 4179, Department of Vital Records, Lansing; FHL microfilm 2342478. Frank Pratt household, 1910 U.S. Census, Kent County, Michigan, population schedule, Grand Rapids, ED 99, sheet 14A, dwelling 137, family 154, age 20, occupation Machine Hand Furniture Factory. Michigan Marriages, 1868-1925 - as view on FamilySearch.Org, online https://familysearch.org/, FamilySearch (https://familysearch.org/pal:/MM9.1.1/N3V1-Y7X : accessed 22 May 2014), Frank Pratt and Nellie Jefferson, 10 Jun 1909; citing Grand Rapids, Kent, Michigan, v 3 p 46 rn 4089, Department of Vital Records, Lansing; FHL microfilm 2342685. United States World War I Draft Registration Cards, 1917-1918, database with images online at FamilySearch, online familysearch.org, FamilySearch (https://familysearch.org/ark:/61903/1:1:K6XV-PR4 : 12 December 2014), Frank Raymond Pratt, 1917-1918; citing Oakland County no 2, Michigan, United States, NARA microfilm publication M1509 (Washington D.C.: National Archives and Records Administration, n.d.); FHL microfilm 1,682,691. Frank Pratt household, 1920 U. S. Census, Wayne County, Michigan, population schedule, Detroit, sheet 133, dwelling 4B, family 35, 43. Frank R. Pratt household, 1930 U. S. Census, Wayne County, Michigan, population schedule, Detroit, ED 867, sheet 17A, dwelling 12, family 12, age 40, occupation Wood work Body works. Frank R. Pratt household, 1940 U.S. Census, Wayne County, Frank R. Pratt, population schedule, Detroit, ED 84-1599, sheet 1A, Street or Post Office Lasher, house number 15053, number of household visited 13, National Archives micropublication T627-1826, A married 50 year old Millwright in an Automobile Factory. .S. World War II Draft Registration Cards, 1942 [database on-line]. Provo, UT, USA: The Generations Network, Inc., 2007. Original data: United States, Selective Service System. Selective Service Registration Cards, World War II: Fourth Registration. National Archives and Records Administration Branch locations: National Archives and Records Administration Region Branches., online http://www.ancestry.com, FamilySearch (https://familysearch.org/ark:/61903/1:1:J4S8-FV7 : 8 April 2016), Frank Raymond Pratt, 1942; citing NARA microfilm publication M1936, M1937, M1939, M1951, M1962, M1964, M1986, M2090, and M2097 (Washington D.C.: National Archives and Records Administration, n.d.). Florida Death Index, 1877-1998 [database on-line]. Provo, UT, USA: The Generations Network, Inc., 2004. Original data: State of Florida. Florida Death Index, 1877-1998. Florida: Florida Department of Health, Office of Vital Records, 1998., online www.ancestry.com. Find A Grave - Memorial Page, online www.findagrave.com, Find A Grave Memorial# 70718085 - Record added: 1 jun , 2011. John W. Koop household, 1920 U.S. Census, Allen County, John W. Koop, population schedule, Fort Wayne, ED 66, sheet 3B, dwelling 63, family 63, age 29, occupation Plumer - Hasley. Herny C. Koop household, 1910 U.S. Census, Allen County, Indiana, population schedule, Fort Wayne, ED 0067, sheet 8B, dwelling 165, family 168, age 54, occupation Light ?man Factory. Indiana. Marriages, 1811-2007 viewed on FamilySearch, online familysearch.org, FamilySearch (https://familysearch.org/ark:/61903/1:1:XXJ8-SN9 : accessed 7 December 2015), John Koop and Clara Bultemeyer,. John W. Koop household, 1930 U.S. Census, Allen County, John W. Koop, population schedule, Fort Wayne, ED 0049, sheet 7B, dwelling 173, family 174, age 39, Steam Fitter - Plumbing Co.
Ancestry.com. United States Obituary Collection [database on-line]. Provo, UT, USA: Ancestry.com Operations Inc, 2006., online search.ancestry.com, Obituary for Glen Unzel - The Madison Daily Leader (MADISONet.com). Ancestry.com. World War I Selective Service System Draft Registration Cards, 1917-18 [database online] Provo, UT: Ancestry.com, 2002. National Archives and Records Administration. World War I Selective Service System Draft Registration Cards, 1917-1918. M1509, 20,243 rolls. Washington, D.C.: National Archives and Records Administration, online www.ancestry.com, South Dakota; Registration County: Lake; Roll: 1877795. Ed Unzelman household, 1920 U.S. Census, Lake County, Ed Unzelman, population schedule, Madison, ED 124, sheet 3B, dwelling 41, family 50, age 30, occupation Carpenter - house. Find A Grave - Memorial Page, online www.findagrave.com, Emma Elizabeth Nickels - Find A Grave Memorial# 138113938. CA Death Index, online search.ancestry.com, SSN: 303038819. Clarence C. Argabrite household, 1920 U. S. Census, Johnson County, Indiana, population schedule, Plesant, ED 141, sheet 12B, dwelling 307, family 318, age 30, occupation Electrical Engineer. Indiana. Marriages, 1811-1959 viewed on FamilySearch, online familysearch.org, Clarence Cannon Argabrite and Evelyn Amanda Mills - Film Number: 2069407; Digital Folder Number: 4476460; Image Number: 01172; Number of Images: 1. Ancestry.com. World War I Selective Service System Draft Registration Cards, 1917-18 [database online] Provo, UT: Ancestry.com, 2002. National Archives and Records Administration. World War I Selective Service System Draft Registration Cards, 1917-1918. M1509, 20,243 rolls. Washington, D.C.: National Archives and Records Administration, online www.ancestry.com, County: Delaware; State: Indiana; Birthplace: California; Birth Date: 1 Nov 1889; Roll: 1493140; DraftBoard: 1. Clarence C. Argabrite household, 1930 U. S. Census, Johnson County, Indiana, population schedule, Greenwood, ED 11, sheet 8A, dwelling 176, family 187, age 40, occupation Electrical Engineer Public Utility. .S. World War II Draft Registration Cards, 1942 [database on-line]. Provo, UT, USA: The Generations Network, Inc., 2007. Original data: United States, Selective Service System. Selective Service Registration Cards, World War II: Fourth Registration. National Archives and Records Administration Branch locations: National Archives and Records Administration Region Branches., online http://www.ancestry.com, Roll: WW2_2240606. James T. Jones household, 1910 U.S. Census, King County, Washington, population schedule, Kent City, ED 1, sheet 40b, dwelling 405, family 418. Harry Pulse household, 1920 U. S. Census, Contra Costa, Harry Pulse, population schedule, Richmond, ED 35, sheet 153B, dwelling 41, family 46, occupation grocery merchant. Harry Pulse household, 1930 U.S. Census, Contra Costa County, California, population schedule, Richmond, ED 64, sheet 9B, dwelling 208, family 244, age 46, occupation Real Estate Agent. Harry Pulse household, 1940 U.S. Census, Contra Costa County, Harry Pulse, population schedule, Richmond, ED 7-67, sheet 62A, Street or Post Office 12th Street, house number 1213, number of household visited 161, National Archives micropublication T627-196, Harry was listed as a married 59 year old Agent and Real estate Broker in his own office. CA Death Index, online search.ancestry.com, 559343350. T.S. Curtis household, 1910 U.S. Census, Culpeper County, Virginia, population schedule, Jefferson, ED 19, sheet 9A, dwelling 163, family 163, age 54, occupation Farmer (General Farm). Arthor Curtice household, 1920 U.S. Census, Alexandria, Arthor Curtice, population schedule, Alexandria, ED 1, sheet 7B, dwelling 109, family 117, age 34, occupation Forman Ship Yard. Arneta A. Curtiss household, 1930 U.S. Census, Alexandria (indipendent city), Arneta A. Curtiss, population schedule, Alexandria, ED 4, sheet 17A, dwelling 403, family 404, age 47, occupation None. Lloyd T Taylor household, 1910 U.S. Census, Washington, District of Columbia, population schedule, Washington D.C., ED 0056, sheet 8A, dwelling 74, family 125, age 33, occupation Prop. Drug Store. Boarding House household, 1920 U.S. Census, Forsyth County, North Carolina, population schedule, Winston-Salem, ED 85, sheet 13A, dwelling 189, family 423, age 31, occupation Clerk - (for Tob Fect?). Leoroy J Butler household, 1930 U.S. Census, Forsyth County, North Carolina, population schedule, Windton-Salem, ED 0037, sheet 20B, dwelling 355, family 455, age 31, occupation Phyisicion - General Practice. William Brownlee household, 1920 U.S. Census, St. Louis City, William Brownlee, population schedule, St Louis, ED 452, sheet 11A, dwelling 120, family 222, age , occupation Salesman Wholesale dry goods. Wm Brountee household, 1930 U.S. Census, Cook County, Illinois, population schedule, Chcago, ED 1881, sheet 1B, dwelling 602, family 29, age 52, occupation Bucher Supply Shop. Robert H. Beale household, 1900 U.S. Census, Westmoreland County, Robert H. Beale, population schedule, Cople, ED 0083, sheet 21B, dwelling 407, family 411, age 55, occupation Farmer. Find A Grave - Memorial Page, online www.findagrave.com, Charles Hoomes "Charley" Beale - Find A Grave Memorial# 44067065. M. Nannie Beale household, 1910 U.S. Census, Westmoreland County, M. Nannie Beale, population schedule, Cople, ED 0121, sheet 8A, dwelling 157, family 157, age 63, occupation None. Kentucky Marriages, 1785-1979,Index,FamilySearch., online familysearch.org, (https://familysearch.org/pal:/MM9.1.1/F49W-15W : accessed 30 Apr 2014), Enoch Flanery in entry for Bobie Vickers and Laura Flanery, 01 Nov 1911; citing Jackson, Kentucky, reference 177; FHL microfilm 1690283. Bob Vickers household, 1940 U.S. Census, Jackson County, Bob Vickers, population schedule, Distric 2, ED 55-1, sheet 8A, Street or Post Office Farm, house number Rural, number of household visited 127, National Archives micropublication T627-1319, Bob was listed as a married 47 year old Farmer. James Pierson household, 1920 U. S. Census, El Dorado County, James Pierson, population schedule, Placerville, ED 26, sheet 8A, dwelling 160, family 164, age 30, occupation Truck Driver. James K Pierson household, 1930 U. S. Census, El Dorado County, California, population schedule, Placerville, ED 0010, sheet 11A, dwelling 289, family 315, age 40, occupation Truckman - General Trucking. James K. Pierson household, 1940 U.S. Census, El Dorado County, James K. Pierson, population schedule, Placerville, ED 9-11, sheet 61A, Street or Post Office Locuston, number of household visited 236, National Archives micropublication T627-199, James was listed as a married 51 year old Restaurante.r. F. Howard Leslie household, 1930 U. S. Census, Monterey County, F. Howard Leslie, population schedule, Carmel by the Sea, ED 0021, sheet 9B, dwelling 233, family 234, age 40, Traveling Salesman - Motor Cars. Michigan, Marriage Records, 1867-1952 [database on-line]. Provo, UT, USA: Ancestry.com Operations, Inc., 2015. Online at Ancestry.com, online search.ancestery.com, Beatrice M. Werner and Earl D. Stoll - Record Number: 11727; Film: 114; Film Description: 1913 Gogebic - 1913 Leelanau. , Marriage Place: Beatrice M. Werner and Earl D. Stoll - Record Number: 11727; Film: 114; Film Description: 1913 Gogebic - 1913 Leelanau. Banks, Ray, comp.. WWI Civilian Draft Registrations [database on-line]. Provo, UT, USA: The Generations Network, Inc., 2000. Original data: United States, Selective Service System. Draft Registration Cards, 1917-1918. Washington, D.C.: National Archives and Records Administration, 1987-1988. Microfilm Publications: M1509., online www.ancestry.com, Registration State: Michigan; Registration County: Kent; Roll: 1675655; Draft Board: 1. D Earl Stoll household, 1920 U. S. Census, Kent County, Michigan, population schedule, Grand Rapids, sheet 32, dwelling 19B, family 238, 411. Earl D. Stoll household, 1930 U.S. Census, Muskegon County, Earl D. Stoll, population schedule, Grand Rapids, ED 0021, sheet 29A, dwelling 9, family 9, age 39, occupation Proprieter - Dry Goods Store. CA Birth Index, online www.familyserach.org, FamilySearch (https://familysearch.org/ark:/61903/1:1:VGKN-LGQ : 27 November 2014), Zelma Inez Whiteaker, 07 Mar 1930; citing Fresno, California, United States, Department of Health Services, Vital Statistics Department, Sacramento. James M Whitaker household, 1930 U. S. Census, Fresno County, California, population schedule, Bryant, ED 0004, sheet 1B, dwelling 25, family 25, age 43, occupaton Farmer. Clint Messerschmidt household, 1920 U. S. Census, Merced County, Clint Messerschmidt, population schedule, Dos Palos, ED 161, sheet 1A, dwelling 2, family 2, age 36, occupation Farmer. James M Whitaker household, 1940 U. S. Census, Merced County, California, population schedule, Township 8, ED 24-36, sheet 4A, dwelling County Road, family Rural, 71. Jesse C. Pallette household, 1930 U.S. Census, Lafayette County, Jesse C. Pallette, population schedule, Washington, ED 34, sheet 8B, dwelling 202, family 202, age 34, occupation Farmer - General Farm. William P. Clampitt household, 1910 U.S. Census, Jackson County, William P. Clampitt, population schedule, Sni-A-Bar, ED 212, sheet 3A, dwelling 49, family 49, age 67, occupation Farmer - General Farm. William P. Clampitt household, 1900 U.S. Census, Sumner County, Tennessee, population schedule, Civil District 13, ED 123, sheet 1B, dwelling 11, family 11, age 56, occupaiton Farmer. SSI Death Index, online www.familysearch.org, FamilySearch (https://familysearch.org/ark:/61903/1:1:V9KB-3ZL : 19 May 2014), Audria P Pallette, 03 Apr 1988; citing U.S. Social Security Administration, Death Master File, database (Alexandria, Virginia: National Technical Information Service, ongoing). 1891 British Census - Ancestry.com. Provo, UT: Ancestry.com, 2002-. Indexed by Ancestry.com from microfilmed schedules of the England 1891 Census. Images reproduced by courtesy of the Public Record Office, London, England., online search.ancestry.com, James Long Household. 1901 British Census Index., online search.ancestry.com, Source: RG13/1554;Reg Dist: Wisbech; Sub Dist: Leverington; ED: 7; Folio: 86; Page: 7; Household Schedual No: 31;. England & Wales, FreeBMD Marriage Index: 1837-1983 [database on-line]. Provo, UT, USA: The Generations Network, Inc., 2006. Original data: General Register Office. England and Wales Civil Registration Indexes. London, England: General Register Office., online www.ancestry.com, Birth: 1890 Oct-Nov-Dec quarter. James Long Household, Wisbech, Cambridgeshire, 1891 Census Returns of England and Wales , Piece: 1304 , Folio: |16 , Page: 6096414 , CSU roll: age 32, occupation Agriculural Laborer. 1901 British Census Index., online search.ancestry.com, Source Citation: Class: RG13; Piece: 1554; Folio: 86; Page: 7. William Strassheim household, 1920 U. S. Census, Philadelphia County, William Strassheim, population schedule, Philadelphia, ED 426, sheet 5B, dwelling 134, family 144, age 59, occupation Printer Ironshop. Pennsylvania, Death Certificates, 1906-1963 viewed online at Ancestry.com, online search.ancestry.com, Death Certificate for Albert W. Strassheim Jr.; File No: 49325 in blue, 9802 in black. Father Albert Strassheim; Mother: Mildred Hockenbury. Albert Strassheim household, 1940 U.S. Census, Philadelphia County, Albert Strassheim, population schedule, Philadelphia, ED 51-310, sheet 11B, Street or Post Office 4th Street, house number 2401, number of household visited 220, National Archives micropublication T627-3709, Albert was listed as a married 50 year old Printer. Pennsylvania, Death Certificates, 1906-1963 viewed online at Ancestry.com, online search.ancestry.com, File No: 49325 in blue, 9802 in black. Father Albert Strassheim; Mother: Mildred Hockenbury. Debbie Gowen Research, "Debbie (Pratt) Gowen - Emails," e-mail to David C. Pratt, Email - 14 Jul 2012. Mildred Sherwood household, 1920 U.S. Census, Rock Island County, Mildred Sherwood, population schedule, Beloit, ED 87, sheet 26B, dwelling 528, family 596, age 32, occupation None. William L. Darby household, 1940 U.S. Census, Boone County, William L. Darby, population schedule, Belvidere, ED 4-4, sheet 8B, Street or Post Office E. Perry, house number 410, number of household visited 174, National Archives micropublication T627-760, Married 49 year old machinest at a sewing machine factory. Louis M. Reager household, 1930 U. S. Census, Glen County, California, population schedule, Township 2, ED 4, sheet 1B, dwelling Dw, family Fm, age 68, occupation Farmer. Louis M. Reager household, 1930 U. S. Census, Glen County, California, population schedule, Township 2, ED 4, sheet 1B, dwelling 26, family 26, age 68, occupation Farmer. Julius Ottoson household, 1920 U.S. Census, Kings County, New York, population schedule, Line Number, Brooklyn. New York, New York City Municipal Deaths, 1795-1949, Viewed online at FamilySearch, online familysearch.org, Ralph F. Ottosen, Male, Infant; Father; julius T. Ottosen; Mother: Laura Field. Both born in Norway. Julius T. Ottosen household, 1930 U.S. Census, Tolland County, Julius T. Ottosen, population schedule, Mansfield, ED 10, sheet 3B, dwelling 78, family 82, age 48, occupation Painter - State College. Kentucky Marriages, 1785-1979, database viewed online at FamilySearch, online familysearch.org, FamilySearch (https://familysearch.org/ark:/61903/1:1:F49W-Y2Q : 4 December 2014), Robert Ward and Laura C. Tillery, 17 Feb 1910; citing Jackson, Kentucky, reference 285; FHL microfilm 1,690,283. Robert L. Ward household, 1910 U.S. Census, Jackson County, Robert L. Ward, population schedule, McKee, ED 0092, sheet 2B, dwelling 52, family 54, age 20, occupation Farmer. Kentucky Death Index, 1911-2000 [database on-line]. Provo, UT, USA: Ancestry.com Operations Inc, 2000. Original data: Commonwealth of Kentucky, Health Data Branch, Divisision of Epidemiology and Health Planning. Kentucky Death Index, 1911-present. 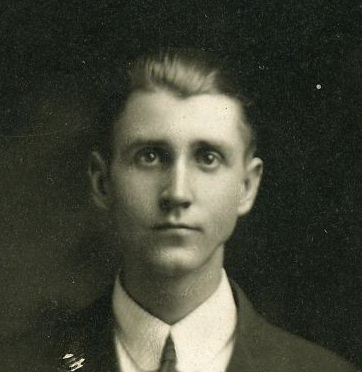 Frankfort, KY, USA: Kentucky Department of Information Systems at ancestry.com, online search.ancestry.com, Name: Robert L Ward; Death Date: 24 Apr 1916; Death Place: Jcksn; Age: 26; Volume: 61; Certificate: 30415. Public Member Tree, online search.ancestry.com, Ward Famkly Tree: christopher_ward1. Caner Flanery household, 1930 U.S. Census, Franklin County, Caner Flanery, population schedule, Brookville, ED 0004, sheet 17B, family 359, age 53, occupation Farm Laborer - General Farm. Jeff W. Cox household, 1910 U.S. Census, Marion County, Indiana, population schedule, Indianapolis, ED 0057, sheet 3A, dwelling 34, family 36, age 57, occupationLaborer - Odd Jobs. Michigan, Death Certificates, 1921-1952, index, at FamilySearch, online familysearch.org, FamilySearch (https://familysearch.org/ark:/61903/1:1:KFQR-GQ1 : 12 December 2014), Stephen Kocsis, 24 Jul 1949; citing Ferndale, Oakland, Michigan, United States, Division for Vital Records and Health Statistics, Lansing; FHL microfilm 1,973,054. Stephen Kocsis household, 1930 U.S. Census, Huron County, Stephen Kocsis, population schedule, Brookfield, ED 1890, sheet 0006, dwelling 9A, family 164, 177. Steve Hoesis (Kocsis) household, 1920 U.S. Census, Cuyahoga County, Ohio, population schedule, Cleveland, ED 358, sheet 17B, dwelling age 30, occupation Teamster (Contractor). New York, Passenger Lists, 1820-1957 online at, online search.ancestry.com, 1912. For year: 1912 , Microfilm Serial: T715,1897-1957 , Roll: Roll 1942 , Line: 20 , Page Number: 112. Find A Grave, database and immages, online www.findagrave.com, Mary Ellen Steele Potts, Find A Grave Memorial no: 62983462. Fidella Brickey household, 1940 U.S. Census, Scott County, Fidella Brickey, population schedule, De Kalb, ED 85-1, sheet 9A, Street or Post Office Valley Road, house number Route 653, number of household visited 136, National Archives micropublication T627-4293, age 51, occupation None. Find A Grave - Memorial Page, online www.findagrave.com, Mary Catherine Brown Carpenter - Find A Grave Memorial# 9768919. 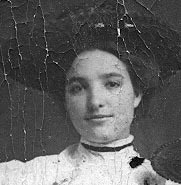 Find A Grave - Memorial Page, online www.findagrave.com, Ellie Florence Carpenter Smith - Find A Grave Memorial# 52153373. Rufus T. Carpenter household, 1900 U.S. Census, Madison County, Virginia, population schedule, Robertson, ED 0038, sheet 7A, dwelling 129, family 129, age 45, occupation Farmer. Rufus Carpenter household, 1910 U.S. Census, Madison County, Virginia, population schedule, Robertson, ED 0049, sheet 3A, dwelling 49, family 49, age 56, occupation Farmer - General Farm. California, County Marriages - viewed at FamiySearch, online www.familysearch.org, FamilySearch (https://familysearch.org/ark:/61903/1:1:K8K3-DHW : 28 November 2014), Fredrick W Steele and Mary Tarpinian, 25 Dec 1945; citing Los Angeles, California, United States, county courthouses, California; FHL microfilm 2,115,298. Torny Tarpinian household, 1930 U. S. Census, Los Angeles, California, population schedule, Los Angeles, ED 0326, sheet 2A, dwelling 28, family 31, age 45, occupation Ped-Met Cart. Ancestry.com. Selected U.S. Naturalization Records - Original Documents, 1790-1974 (World Archives Project) [database on-line]. Provo, UT, USA: The Generations Network, Inc., 2009. Original data:, online www.ancestry.com, California. Ancestry.com. Selected U.S. Naturalization Records - Original Documents, 1790-1974 (World Archives Project) [database on-line]. Provo, UT, USA: The Generations Network, Inc., 2009. Original data:, online www.ancestry.com, Natuarlization Paper for husband Toros. United States, 1942 World War II Draft Registration Cards, viewed at FamilySearch, online familysearch.org, FamilySearch (https://familysearch.org/ark:/61903/1:1:V4DQ-12S : 8 April 2016), Toros Tarpinian, 1942; citing NARA microfilm publication M1936, M1937, M1939, M1951, M1962, M1964, M1986, M2090, and M2097 (Washington D.C.: National Archives and Records Administration, n.d.). Thomas G. Baguley household, Vancover, British Columbia, POPULATION SCHEDULE, Vancover, ED 1, SHEET D-20, DWELLING 7, FAMILY 80, Married, 35 year old Resterateur & B. Housekeeper. Thomas G. Baugley household, 1920 U. S. Census, Multnoma County, Oregon, population schedule, Portland, sheet 138, dwelling 11B, family 260, 267. Oregon Marriage Index Groom and Bride Combined 1916 to 1920. British Columbia, Canada, Death Index, 1872-1990 at ancestry.com, online search.ancestry.com, Registration number: 1971-09-003975; BCA Number: B13309; GSU Number: 2034217. Homer Alvord household, 1900 U.S. Census, Steuben County, Homer Alvord, population schedule, Homellsville, ED 0093, sheet 12A, dwelling 247, family 269, age 39, occupation R.R. Brakeman. Warren M Williams household, 1910 U.S. Census, Steuben County, Warren M Williams, population schedule, Hornell, ED 0141, sheet 13B, dwelling 302, family 317, age 63, Laborer - Streets. John J. Crane household, 1920 U.S. Census, Steuben County, John J. Crane, population schedule, Homell, ED 122, sheet 2B, dwelling 49, family 50, age 28, occupation Trainman - Erie R.R. John J. Crane household, 1930 U.S. Census, Steuben County, John J. Crane, population schedule, Homell, ED 0052, sheet 14A, dwelling 263, family 304, age 39, occupation Brakeman - Steam Railroad. Ancestry.com. World War I Selective Service System Draft Registration Cards, 1917-18 [database online] Provo, UT: Ancestry.com, 2002. National Archives and Records Administration. World War I Selective Service System Draft Registration Cards, 1917-1918. M1509, 20,243 rolls. Washington, D.C.: National Archives and Records Administration, online www.ancestry.com, Card 3014 - Philadelphia. Ancestry.com. World War I Selective Service System Draft Registration Cards, 1917-18 [database online] Provo, UT: Ancestry.com, 2002. National Archives and Records Administration. World War I Selective Service System Draft Registration Cards, 1917-1918. M1509, 20,243 rolls. Washington, D.C.: National Archives and Records Administration, online www.ancestry.com, Roll: 1907615; DraftBoard: 12; Card 3014 - Philadelphia. .S. World War II Draft Registration Cards, 1942 [database on-line]. Provo, UT, USA: The Generations Network, Inc., 2007. Original data: United States, Selective Service System. Selective Service Registration Cards, World War II: Fourth Registration. National Archives and Records Administration Branch locations: National Archives and Records Administration Region Branches., online http://www.ancestry.com, Roll: 1907615; DraftBoard: 12. Find A Grave, database and immages, online www.findagrave.com, Lydia Margaret Hall Greear, Find A Grave Memorial no: 154726353. Joseph Greear household, 1900 U.S. Census, Scott County, Virginia, population schedule, 62, ED 10A, sheet 191, dwelling 195, family age 61, occupation Farmer. Find A Grave, database and immages, online www.findagrave.com, Guy Earnest "Doc" Greear, Find A Grave Memorial no: 154724743. Joseph T Greear household, 1910 U.S. Census, Scott County, Virginia, population schedule, 65, ED 14A, sheet 272, dwelling 272, family age 68, occupation None. Find A Grave - Memorial Page, online www.findagrave.com, Elmira Ethelleen Donaldson Denard: Find A Grave Memorial# 51904689. Thomas H. Denard household, 1940 U.S. Census, McLennan County, Thomas H. Denard, population schedule, Waco, ED 155-17B, sheet 9A, Street or Post Office Thirteenth Street, house number 618, number of household visited 187, National Archives micropublication T627-4099, Married, 52 year old with no occupation reported.